Many U.S. cities are moving towards renewable energy even while regulatory incentives are being taken away. Here are the 5 best examples. Five cities in five different US states are already powering public buildings on 100% renewable energy. This is nothing short of a triumph, given that in America, fossil energy sources are still king, and only roughly 15% of the U.S.’s total energy consumption comes from renewable sources. According to the latest figures from the U. S. Energy Information Administration, the United States is still very dependent on fossil fuels (coal, natural gas, petroleum) to generate electricity. In 2016, 65% of the 4 trillion kWh of electricity consumed was from fossil fuel-based energy sources, with natural gas leading the pack at 33.8%. Coal comes in second (30.4%) and then nuclear power (19.7%). The EIA estimates that about 15% of all electricity was from renewable energy sources. By the way, for the purposes of this article, renewable energy sources include: hydroelectric, wind, biomass, solar and geothermal. These figures show a slow increase in the share of renewable energies in the supply of electricity in the United States. Nevertheless, several cities now have ambitions to give renewable energies a push. The majority of these five cities have succeeded operating public buildings with 100% renewable energy. A couple of them are powered solely by renewable sources. If you were looking to move to a city powered entirely by renewable energy, check out Babcock Ranch. Back in 2014, Burlington, the most populous city in Vermont (42,000 inhabitants), set the stage and became the first US city to run on 100% renewables. In September 2014, the Burlington Electric Department, BED, purchased the 7.4 mW Winooski One Hydroelectric plant and with it compiled sufficient renewable energy sources to meet all of Burlington, VT’s electricity needs. Though a small state, Vermont has an ambitious goal to reach 90% renewable energy usage for the entire state by 2050. After an EF5 rated tornado devastated Greensburg in 2007, this small town, which is home to 785 residents, decided not just to rebuild, but to go green. A few years later, as part of the city’s Sustainable Comprehensive Master Plan, Greensburg became the first American town to use electricity generated exclusively from renewable energies. Aspen, Colorado (6,700 year-round residents) was the first American municipality west of the Mississippi to use hydroelectric power in 1885. With its economy relying on the health of the environment, this high-profile ski resort town’s renewable energy efforts date back to the 1980s. In 2015, the city became the third city 100% powered by renewable energy (53% wind, 46% hydroelectric, and 1% landfill gas). Scituate, the coastal city of Massachusetts, with a population of 18,000, has a plan to go 100% renewable. To that end, in addition to 3 MW solar array, the city has a wind turbine, operating since March 2012. With a 15-year contract, the city rents out the land and buys the 1.5 MW of electricity produced by the wind turbine. With a population of over 640,000 inhabitants, Las Vegas is now the largest city in the U.S. to run its municipal buildings and equipment on 100% renewable energy sources. Following the Renewable Energy Agreement with the state’s utility NV Energy, the city receives clean energy, essentially from Boulder Solar plant, to power its municipal buildings, facilities, street lighting and other urban infrastructures. This does not include private businesses such as casinos. But don’t fret, they are planning their own clean energy adaptations. With a population of almost 55,000 people, Georgetown hopes to rely on 100% renewable energy from wind and solar sources by the end of 2017. 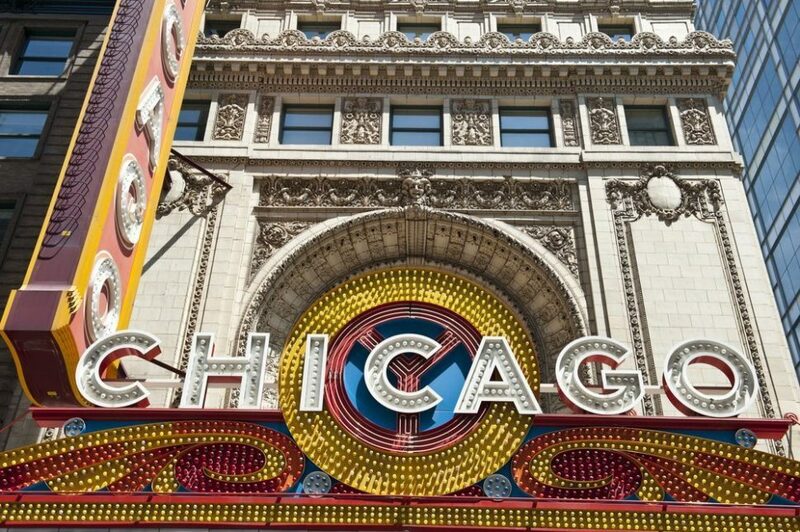 The Windy City announced last week that they would be powering all city municipal buildings with 100% renewable energy by 2025, just eight years from now. Based on population, this is the largest city renewable energy commitment in the U.S. thus far.